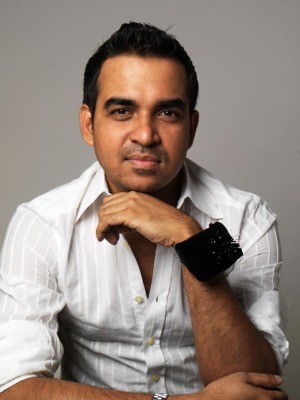 The 37-year-old Indian born designer, Bibhu Mohapatra is poised to join the ranks of Prabal Gurung, Joseph Altuzarra and Jason Wu. He started his label in 2009 after eight years in J. Mendel as the Creative Director and Hollywood is lapping up his designs. Elisabeth Moss and Hillary Swank are fans of Bibhu Mohapatra. 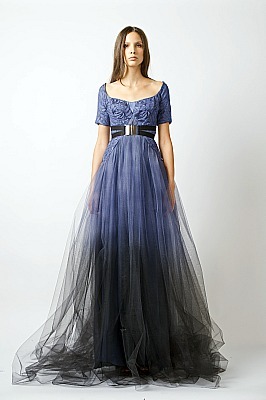 Bibhu’s speaciality is Ball Gowns and he sells from Neiman Marcus and Bergdorf Goodman. The Council of Fashion Designers of America (CFDA) selected him to participate in its Fashion Incubator program, an initiative to help 12 emerging designers based in New York grow their labels by providing them studio space in the heart of the garment district and business mentorships. I found your website through a random stroke of luck. It contains wonderful and helpful posts. I have read most of them and got a lot from them. You have something good going here, keep it up:)! do not even know how I ended up here, but I thought this post was great. I don’t know who you are but certainly you’re going to a famous blogger if you aren’t already 😉 Cheers! don’t even know how I ended up here, but I thought this post was good. I don’t know who you are but definitely you’re going to a famous blogger if you aren’t already 😉 Cheers! I just posted this to myspace. I love all the articles posted. Only wanna say your post is stupendously . The clearness in your article is simply remarkable and I can allege that you are an adept on this subject . Well with your approval permit me to grab your feed to be updated with future articles . Thank you a million and please keep up the delightful job . It sure is actually interestng, I really hope I am aware that before. Hi , I was just browsing through the net Searching for some information and came across your blog. I am impressed by the info that you have on this blog. It shows how well you understand this topic. I saved this blog, I will come back for more. You, my friend, Rock!!! Youre so cool! I dont suppose Ive learn something like this before. So nice to find any individual with some authentic thoughts on this subject. realy thank you for starting this up. this web site is something that is wanted on the net, somebody with slightly originality. useful job for bringing one thing new to the web!